Royal Timbers is a multifamily residential development located in the Little Egg Harbor Township, Ocean County, New Jersey. The Property consists of 104 garden style apartments in two and three-story buildings on 8 acres. Amenities include adequate parking and a children's playground. The landscaping complements the neighborhood and coastal surroundings. Little Egg Harbor, the southernmost township in Ocean County, is bordered on the east by Little Egg Harbor, on the south by Atlantic County, on the west by Burlington County, and on the north by Eaglewood Township. It is a short 25-minute commute to Atlantic City. Little Egg Harbor contains approximately 49.5 square miles with a population of over 15,900. 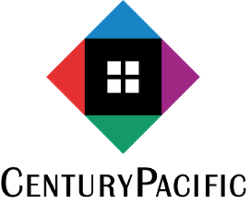 Century Pacific developed Royal Timbers with financing from tax credit equity and conventional construction and permanent mortgages.